Weighty Matters: Do You Eat Nutella? You Might Want to Watch This. I came across this Nutella ad the other day. 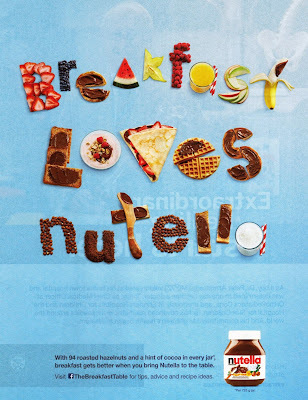 It speaks of breakfast "loving" Nutella and specifically calls out the "94 Hazelnuts" that are in every jar (small print says every 725g jar). Clearly that hazelnut shout out is meant to suggest that Nutella is a healthful breakfast choice.